Haha! I are being an Advance reader! I knew that 600 SAT Verbal counted for sumtin. Ok, I keed, I keed. 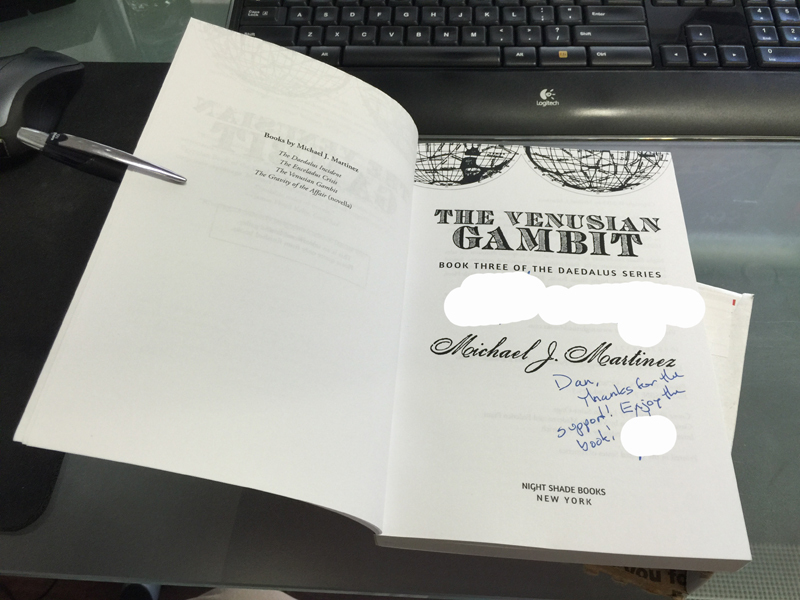 Through the generosity of author extraordinaire, Michael J. Martinez; myself and Margo-Lea Hurwicz each won an Advance Reading Copy of his upcoming novel, The Venusian Gambit, complete with autograph 😀 . 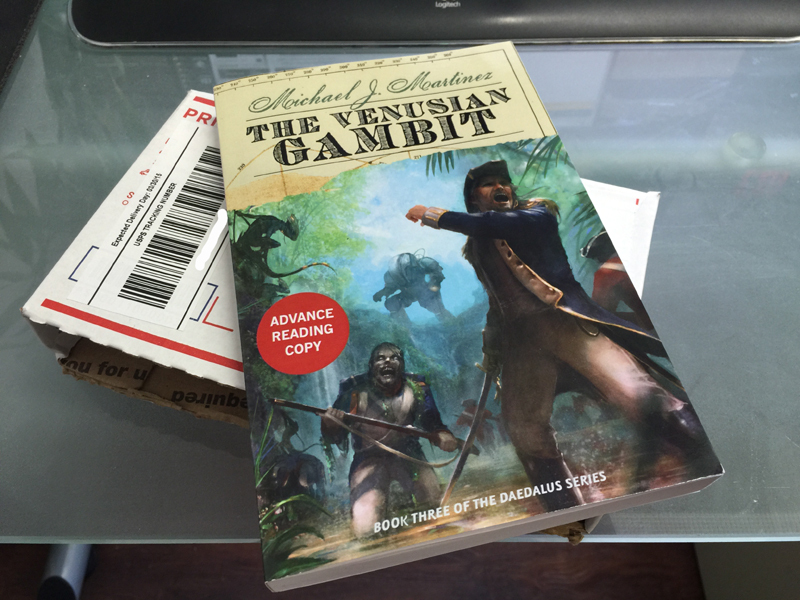 Gambit represents the third and final chapter of the Daedalus series which chronicles the intertwined cross-dimensional adventures of Thomas Weatherby of His Majesty’s 18th/19th century Royal Navy and Shaila Jain of the 22nd century Joint Space Command. 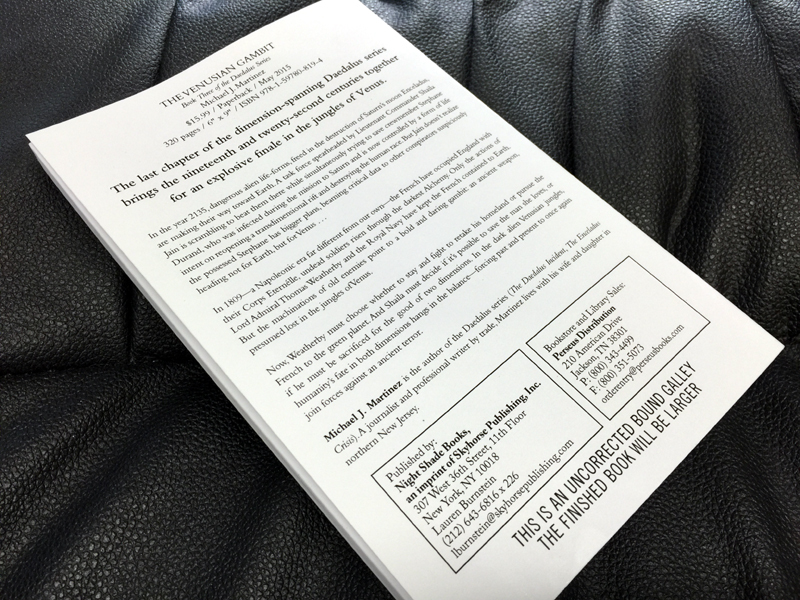 The completed version hits shelves on May 5, 2015! Next Next post: Part 5. Surprises in writing a science fiction novel.